SpyParty is very early in development, but it has been playtested a lot, with more to come, including occasional public playtests, and eventually internet playtests. There is some documentation written for playtesters about how to play the game in its current state, which you might find interesting, here and here. Edit 2013/6/30: This page is woefully out-of-date, and needs updating, sorry about that! The beta is open, I’ve been lucky that there’s been a bunch of press about the game over the years, and development is going slowly but really well, and I’m really proud of the game and the community. A very early prototype of SpyParty was shown in public for the first time at the Experimental Gameplay Workshop at the 2009 Game Developers Conference. It got a fair amount of press after this demo, and even more after I got laid off and started working on it full-time, which was very nice. The next year, a bunch of journalists played it at the 2010 GDC, and they seemed to like it a lot! Kieron couldn’t make it to GDC this year, but he wrote up his thoughts on the game from reading the other articles! …he’s using his newly found free time to develop one of the most interesting-sounding independent games we’ve heard of in a while. …first revealed at this year’s GDC Experimental Gameplay Sessions that I’m now and forever kicking myself for missing, SpyParty intends to do precisely what more games need to do: forgo games as big budget thrill-rides and focus instead on the richness of subtle interaction. In the announcement Chris reveals that he’ll be working on SpyParty, a game which he demoed at this year’s Experimental Gameplay Workshop. In the game you play a sniper watching a cocktail party from another building, trying to figure out which of the partygoers is the spy by looking for various tells. I saw it at EGW and it’s a cool take on the spy genre. Hecker’s design in turn was inspired by the Turing Test, and the difficulty in which a computer has in fooling the user it is human when asked to do natural language processing. But what if, Hecker considered, you only allowed the player a “simpler, more responsive” form of interaction with the computer? Could he be fooled? The perfect setting, Hecker decided, would be a cocktail party, where a variety of people interact in an already very stylized way and the social rules are an already tight subset. So Hecker’s prototype asks one player to take the role of a spy attempting to complete missions at a party filled with other AI characters, while an opposing player observes the party (as a “sniper”) and must attempt to observe the player enough that they can work out who it is and kill them before they complete their missions. In Hecker’s current, “very early” prototype, the gameplay was formed around “tells” — observable, if subtle, occurrences such as a brief look to the left when stealing a book rather than returning it to a shelf — but he hoped that, in time it would evolve to become a game about observing subtle differences in behaviour. Chris Hecker’s Spy Party is a game of deduction between two players. The scene: a cocktail party for spies, where one of the attendees is a live human being trying to complete a mission, and everyone else is an AI-driven decoy. Player number one plays the spy; player number two is a sniper, waiting from a balcony across the street and deciding who to pick off. The sniper’s challenge is to figure out which spy is controlled by a human, and which are just AIs. It’s harder—way harder—than you might think. In fact, when a handful of attendees got the chance to identify the target (using laser pointers), they guessed wrong and shot a civilian, which ends the game and hands the victory to the spy. Spy Party by Chris Hecker is a two-player game inspired by an inversion of the Turing test. The Turing test is so difficult for a computer to succeed at because language is so complex and difficult that only humans or truly functional AI could master it in a realistic and believable way. But what if you made the language very easy and instead of a computer trying to be human, you made a player try to act like a computer? Two players — one a spy, one a sniper — are in asymmetrical competition. The player must move around a party completing objectives that the other AI party guests will not even attempt to accomplish. Everytime the player accomplishes one of these objectives, they give a slight “tell” — if you try to bug an ambassador, the player’s hand will dart out and suddenly retract, just like if you try to steal a book, you’ll motion to put it back until suddenly shifting it into your coat. The sniper’s job is to look at the crowd and figure out which of the dozens of characters is the human spy, and kill him. As it stood the game was almost exclusively based around recognizing these little telltale signs, but Hecker planned on expanding and deepening the gameplay. This ‘side-project’ is a game based on the principle of the Turing test, but a bit more complex. Let me explain the game first: it is a multiplayer gamer, set at a cocktail party hosted by the ambassador. One player is a sniper outside the room looking in. He has a mission to kill a double agent but doesn’t know who that is. Most guests are NPC’s, but an other human plays the double agent. The game is: can the sniper distinguish the AI from a human player? Hence the Turing test. Spy Party is a game by Spore man Chris Hecker for two players: Spy and Sniper. A cocktail party provides the setting, in which the Spy will be asked to complete an objective such as bugging an ambassador. The Sniper, on the other hand, will simply have to sit back and watch, looking for minute and subtle giveaways that will identify the Spy who can then be shot in the face. Spy Party — perception. Spy/counterspy sim where people’s observed behaviors tell you how to proceed. – 20 people at cocktail party (some players, some A.I.). 1 is a spy. Assasin observes party, attempting to determine who the spy is. Bam! – “affordance” and “actors” mentioned. must… remain… calm. – Game demoed. Audience plays assasin watching 20 people, attempting to finger the spy. – Most memorable moment: When civilian was shot. Ambient chatter stopped, replaced by piercing female scream, everyone ran from victim. “Spy Party”, by Chris Hecker. Really seems to capture the intrigue, danger, and more importantly, subtelty in some of the more realistic spy stories…you know, the kind where the spy doesn’t advertise his presence by blowing up most of a city. Really fun to watch players compete in this one. Spy Party creator Chris Hecker is looking for more martinis and less explosions in his spy fare, so he turns to a cocktail party as the setting of his game where one player is an agent and one a sniper outside. Spies take on missions to fulfill, such as transferring a book from one shelf to another (who knows what secrets are contained within?) or bugging the ambassador, all while chatting it up like a pro at a hoppin’ social gathering. The animations have very subtle differences that the sniper will have to learn to pick up on. Right now he admits that it mostly relies on looking for these tells, but he hopes that he’ll be able to ramp up the complexity as he continues development. 25-word pitch: Infiltrate a cocktail party, accomplish espionage missions, avoid detection. Inspiration: ‘Fugitive’ from Indie Game Jam01. James Bond. Cocktail party etiquette. The Turing Test. Why it works: You’re a sniper who’s got to shoot the only human-controlled person (spy) at a cocktail party, basing your decision only by reading social cues. Like Minesweeper, but using social interaction. Design after my own heart–simplify the symbols. This is a very promising mechanic. Can’t wait to see it mature. Has some fleeting commonality with one of my mystery game designs. The game is in development in Oakland, California, by Chris Hecker, with no current release date. I’m using a modified FluidBlue theme. The site is run on a really crappy server made non-crappy by the awesome Varnish Cache and the Varnish WordPress Plugin for invalidating the cache on edits. Videos are embedded with Viper’s Video Quicktags. I also use NextGEN Gallery, Twitter Widget Pro, Subscribe to Comments, Attachment Extender, G-Lock Double Opt-in Manager, and a bunch more I’m probably forgetting. I’ve been waiting for a multi-player game that did something – anything! – like this since Shiny’s Messiah. All I could imagine playing that game were the multilayer possibilities of a human opponent hidden inside of an AI, imitating them. I realize you are going for something more subtle than a body snatching cherub packing heat, but it’s nice to see the core mechanic in use anyway. All the best with this awesome project! I’m soo excited it’s 2011!! This is the year where a revolution in the game industry will change the whole gaming scene, kicked-off by the release of a BETA from a game named SpyParty! And 2011 is one year away from the year that the transformation from the game industry will be finalized and there will only be awesome games, made by gamers, for gamers! I don’t understand why SpyParty isn’t in the “Excellence In Design” and “Nuovo Award Finalists” lists of the IGF, but I think you have a good chance for the grand prize! Nidhogg is good I heard, but perhaps too limited, didn’t play much minecraft, but I don’t understand why people are so crazy about it. I would love to be a beta tester for this game. Let me know. I’m loving the idea – been looking for something like this for ages. Can’t wait to hear about an open beta or something going on! I was wondering if you would notice. :) I’ll move it above the fold after I’m sure it’s working right. Holy crap. People must have jumped on that like hot biscuits. I haven’t said anything about it publicly yet, I just put it up there for now and am letting it happen organically while I iron out the kinks. I’ll announce that I’m taking names sometime next month after GDC, probably. I will give you $1000 to exclude jordy from playtesting. WHUT?!! I’ll pay you double to include me and a bonus if it happens between now and tomorrow! Now this is getting interesting! xD, that makes me wonder, will your beta keys go over the counter for $500 a piece on ebay like with starcraft 2?! It probably will, giving enough marketing and a scarce amount of keys..
Have you played any of the other IGF games. If so, do you think you stand a chance against them. I know you played Minecraft and that is a tough one to beat. Yeah, I’m just assuming Minecraft will win. Seems like a safe assumption to make. Who knows, though, juries are weird! I thought it was a big surprise when Monaco won the Grand Prize. I thought for sure it would be either Super Meat Boy or Joe Danger. Honestly, minecraft is just computer lego and I don’t really get the hype about it, spyparty really provides other gameplay dynamics that haven’t been explored yet..
What are you voting for in the audience awards? I’ve gotta try it out. I’m either voting for you, Amnesia, or Dinner Date. What’s that supposed to mean. Just joking about auctioning off your vote! I actually have no idea how these audience awards work. In practice, I’d assume it’s a popularity contest, since a lot of people won’t have played a lot of the games that are eligible (I mean, I don’t know how many people have played SpyParty total, but it’s probably less than 2000…there were ~600 games played at PAX West, and that’s two people per game, but some repeats, plus other venues, etc.). Contrast that with how many people have played some of the publicly available games, like Amnesia, or Minecraft, and it’s orders of magnitude lower. It used to be that only games with demos available to the public could be nominees, but they changed that in light of the fact that many voters have been to gaming conventions and have played games that do not have demos. Do you have any idea when this will be released? I just want an idea of how long. It’s probably a couple years from final release. I will probably do a beta type thing for balancing at some point sooner, though, since competitive player-skill games need a long balancing period. Why do you consider the assymetry a goal in itself? Wouldn’t it be a more intensive game if the players were simultaneously faking it themselves and trying to point out the others. It would also open a lot more possibilities for players discovering other players (or revealing themselves) by directly interacting with them. One interesting thing about assymetry, though, is that it would be easy to scale the multiplayer for snipers, having the party watched by a large number of snipers simultaneously, creating many possible competitive game modes. Any thoughts about using Kinect? I find the asymmetry interesting for a bunch of different design reasons, but in the case of the Turing test aspect of the game, I think it’s important because it allows the two players to “relax” into their roles. In games based on Assassin, like The Ship, and Assassin’s Creed: Brotherhood, you are trying to hunt somebody and watch your back at the same time, and so the perception and deception challenges can’t be that deep. In SpyParty, if you’re the Sniper, you know the Spy can’t get out of the party and come stab you in the back, so your entire job is just perception. Contrariwise, if you’re the Spy, you know you can’t pull a fast one and kill the Sniper, so you have to focus on the deception task. I think it makes for a lot deeper psychological game this way. As for Kinect, I don’t have anything against it, I’m just putting thinking about that kind of thing off (like iPad, etc) until I have the gameplay where I want it. What platforms are you planning to release the game on? Eventually there will be a native Mac port, but right now, Wineskin on MacOS runs the beta perfectly, which is awesome! Cool. You gonna try to get it on Steam? You could put it on Steam Greenlight right now. I see you took off the playtest application thing. Why? Or am I going blind and just not seeing it. i already signed up. I might possibly like or dislike the sound of that. We can talk about things like this: http://www.youtube.com/watch?v=vJG698U2Mvo or anything in general. Looks like a great game! Regarding distractions, perhaps the spy could cut the power for a few seconds. He/She may be seen doing it, but they could get away with a mission. If that’s their last one, they’d win before the sniper had the chance to notice. Lets say they start flickering before the lights go out, the sniper could look for any suspects and kill the spy. This is just a high-risk situation that I would find interesting. Interesting idea! I was thinking the Sniper could cut the lights to “poke” at the party, but I like the idea of the Spy being able to do it as well, and maybe there’s some interaction between the two. I need to update the FAQ about hats. Your facebook page is offline or deleted, I don’t know. Did you break any rules?! I don’t think so, weird! I assume/hope they’re just going some maintenance. Has a sniper ever kept a close eye on one or two missions instead of the characters? For instance, keep looking at the statue and bookcase, so you can carefully see everyone interacting with those items, and pick out the spy. I think there’s currently about a 15% chance tat the spy does a misssion set that doesn’t include swap statue, transfer microfilms, or inspect statues. Yeah, after players have played for a while, it starts to become easy to camp a specific mission, and at that point you switch to a “subset” game type, where the Sniper doesn’t know which missions the Spy picks, so it’ll be something like “3 out of 4 missions”, where the Sniper knows the 4, but not which 3. This makes camping a mission really risky, but still an interesting strategy if you know your opponent. Evilness! How did I not know there was a beta going on! I just Stumbledupon this video (I do not own it) and don’t know if anyone here has seen it, but it very well may be the solution to the two player, one screen problem. Hah, we joked about doing it this way a year or so ago, hilarious that somebody’s actually doing it! I wonder how much bleed there is. Though I don’t know how many sign-ups yo get on average each day? From the posting times I’d say 42 each day? Hmm, never mind, just release it ASAP! I’ll use the release of the BETA for my release of the SpyParty BETA Celebration! On a side-note, how much do you expect the sign-up rate to increase after the BETA-release? I’m thinking it’ll reach 100,000 easily. Argh :), I bring this man to shame with my bad acting, you could see right trough my impersonation! BEETAA!!! No more excuses@ ;) I want it now! I’ve done so many BETA’s it’s not even funny.. but I have to say.. this is the first one since Star Wars Galaxies that I am excited about! Hey my friend Noc got his beta access and I just requested for mine. I would like to make a trailer for this game. It is a great game I have seen No play it and I am very interested in it. I linked my YT not many subs but what the hell I will enjoy making a trailer. I want to start work on it soon cause it will be fun! I was wondering if for the sake of time I can get my access soon so I can begin work? Would be nice but if not that is fine. Awesome thanks for quick reply too! Hope to be playing with you soon! Aww yeah, patrick and I will begin writing the trailer now. Any idea when this invite a friend thing is coming out? I’m going to do spectation first, so it’ll be a bit. Is Spy Party going to be free or after I receive that e-mail I have to pay? Reminds me a little of a garry’s mod custom gamemode called “Trouble in Terrorist Town”. The objective there, though, was to determine which few players out of a group are “traitors” going around killing the other players. It would be interesting to see a slower take on that idea, which is what it seems you’re going for. Awesome, thanks so much for the kind words and the support! Hey I’ve heard you mention the forums in a couple places, but can’t actually find them. Is it only accessible for current beta testers, or am I just blind/incompetent? 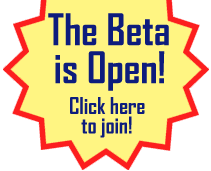 Yeah, there’s a private forum for beta testers. I’ll probably keep it private for a while, and maybe make it read-only public after open beta, not sure yet. You are my favourite person in the world.. you have no idea how much I love this game, and I havn’t even played it yet.. Literally all day ive been watching streams and keeping my emails open.. constantly checking to see if i’ll get invited! I love mafia.. and this is just the most perfect game ever. I realise I wont be able to play it for a while, but do you have any idea when I might? Hah, thanks, but maybe wait until you play before annointing me. :) It shouldn’t be long now, hopefully a few more weeks. hahahaha!! ahh man I seriously cannot wait!! Do u acctually need to pay to play this crap? IS IT GONNA BE ON STEAM???????? PUT IT ON STEAM!!!!!! Yep, eventually. I want to keep the community growing slowly for a while, though. Holy hell, the new art looks awesome! This is absolutely gorgeous. Can I please, and I’m not being facetious, pay you the money you deserve to have?! Yes, you can pay me money, right over here: http://spyparty.com/beta Thanks! Hey, just wondering. My wife and I would like to play this together on separate computers. Would we each need to pay for the beta? Or could I somehow share it between computers? And also, will we be able to play together in some sort of private game setting? Thanks for any help, can’t wait to purchase tomorrow! Hi, right now you’d both need to purchase a copy. I want to do “spawned copies” and 2-for-1 discounts, but haven’t had time yet, and will need to modify some stuff to make it happen, so it’ll be a while! There’s no automatic matchmaking, so you both just log into the lobby and then choose to play each other, so you will be able to play each other no problem. You’ll have to be connected to the internet, there’s no offline or lan mode yet, but it’ll be trivial to play each other, lots of couples do it. I’m interested in buying the game but please let it go faster. What a piece of art you have done there. Unfortunately I cannot afford to play the game, university is consuming all my economic resources, but as soon as I can I will buy it and stream it to the entire Portugal. ? Keep up with the amazing masterpiece. Would love an opportunity to have a dev on our podcast at TetraByte Media to do a 30 minute session on Discord discussing SpyParty. As a fan of psychology, spy movies, body language, and watching people who watch others, this type of game is right up our alley. I also appreciate that this project has not been rushed by any means. Should anyone from your team be interested, please let me know at weber@tetrabyte.media. Thank you for your time and I wish you the best! HI, I’m French, i like Hidden in a plain sight & Party saboteurs. So i’m very interrested by your game. good job. I have a problem. i would like to buy it for play in local. i do not like to play online. i have many computers in my home with many steam account. Does the only possibility to play your game with 2 people in my house is to have 2 copy of the games and play Online (in local)? I’m pretty sure that it’s the only issue when i read lots of comments on differents forum. I’m ready to pay for the game but for 2.. to be honnest no. Is it possible to do something for that case ? Yes i’m asking you to have 50% because it’s 2 copy for the price of 1. But i’m only 1. I will play the game when friends of me will come. But not the same friend and it will be only in my house on my computers. So it’s difficult to ask a friend to buy it. And it’s difficult to pay 2 games for play only in my home. I hope that you understand my problem and i hope that you can do something for me… If there is a way to prouve you that the two steam account are used only in my house just tell it to me. Normally both accounts are linked to my phone number. Hi, yeah, currently you need two accounts. I want to do a feature that will allow you to play with a friend on a single account but haven’t gotten to it yet!